The Oconee County Board of Commissioners is set to hold its third and final budget public hearing tomorrow night before it begins the difficult task of matching $21 million in budget requests for the General Fund with approximately $18.7 million in projected revenue. The hearing tomorrow, which is to begin at 5:30 p.m. in the courthouse, is scheduled to focus on the Utility Department, the Public Works Department, the sheriff’s office, and finance and administration. The commissioners began hearing from department heads on Monday evening and continued that process during the day today. 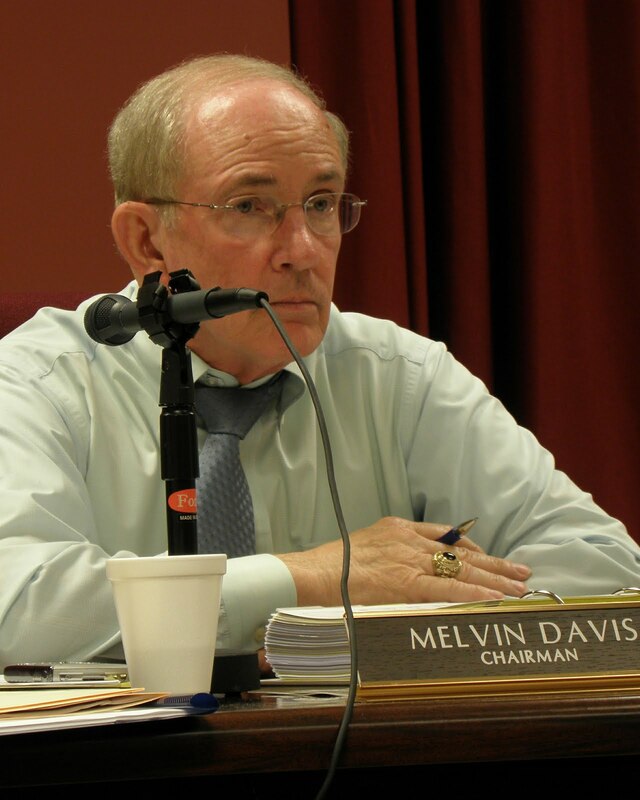 During the session on Monday, BOC Chairman Melvin Davis told county Fire Chief Bruce Thaxton that “our projected revenue is $18.7 million, maybe $19 million” and the requests from department heads total just less than $21 million. It was a message he repeated throughout the evening. 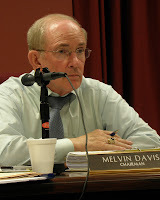 Finance Director Jeff Benko confirmed the figures during a break in discussions shortly after Davis made his point to Thaxton. Benko told me he was pretty certain on the budget request figure, since he had budget materials from each of the departments. He said the revenue figure could change as the county gets a better sense of the trend in sales tax receipts and possible fees the sheriff can earn by housing inmates from other counties in the Oconee jail. Benko said he thought the figure could go as high as $19.2 million. The county’s 2011 General Fund budget was $20.9 million. The commissioners voted last year to take just less than $1.2 million from the Fund Balance–excess funds held from previous years–to match revenue and expenditures. The total budget for the county for the current (2011) fiscal year was just more than $36 million, with spending on projects covered by the Special Purpose Local Option Sales Tax and by the Utility Department making up the bulk of the non-General Fund budget. In May of 2010, as the BOC worked through $22 million in spending requests for fiscal year 2011, Jeff Benko was projecting that the county would have $19.6 million available in general fund revenue. That $22 million request was up from the 2010 general fund budget of $21.7 million. To make that budget balance, the county had moved $644,000 from its reserve fund. The public does not get a chance to ask questions at the budget public hearings underway this week. The commissioners query the department heads based on their requests, which are provided to the commissioners by Benko. These requests are not shared with the public. The first time the public is scheduled to get a chance to comment is at a public hearing on the final budget scheduled for May 31. The Commission is scheduled to vote on adoption of that budget on June 7. I really appreciate your gathering and sharing all this information. It is very educational to see how our representatives vote. Thank you.